On average, a pedestrian is killed every two hours and injured every seven minutes in traffic crashes in the U.S. In fact, over ten percent of all traffic fatalities and an estimated 3 percent of those injured in traffic crashes are pedestrians. 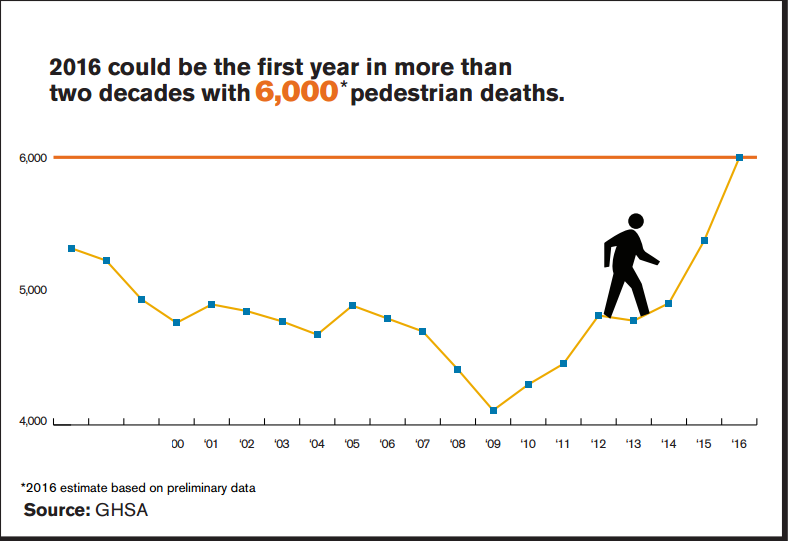 In 2015, pedestrians were one of the few groups to experience an increase in traffic fatalities with over 5,000 deaths reported and 2016 could be the highest pedestrian accident deaths in over two decades. 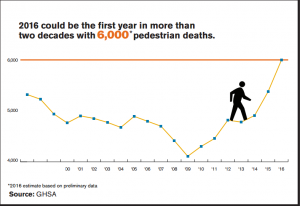 The majority of pedestrian traffic accidents, 71%., occur at non-intersections. Many fatalities, 26%, occur between the hours of 6 p.m. and 9 p.m., largely in normal weather conditions. Recent data reflects that older Americans over the age of 65 make up 20 percent of all pedestrian fatalities and 10 percent of the injured. More than one-fifth of children ages 5 to 15 who were killed in traffic accidents were pedestrians. Alcohol involvement – for either the driver or the pedestrian – makes up nearly 50 percent of traffic crashes that result in pedestrian fatalities. Distracted driving, reckless driving, including speeding, also contribute to pedestrian car accidents. Taking precautions can reduce the number of injuries and fatalities attributed to pedestrian car accidents. If you or a family member is injured in a pedestrian car accident, contact the Des Moines pedestrian accident lawyers of Stoltze & Stoltze PLC for experienced and compassionate help today.